GRENDEL & LUDOVICO TECHNIQUE LIVE @ ECLIPSE! Eclipse & G.I.N. 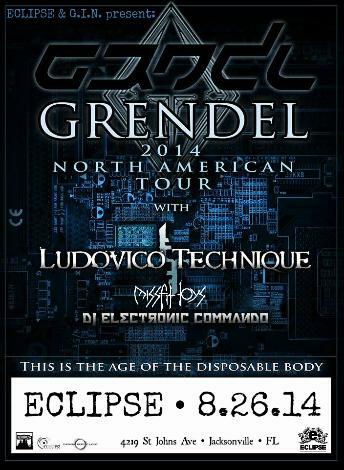 Present: GRENDEL & LUDOVICO TECHNIQUE LIVE - August 26th at 9pm!